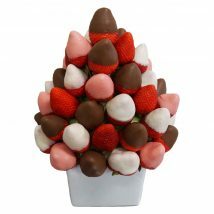 This cute chocolate strawberry treat is sure to impress. 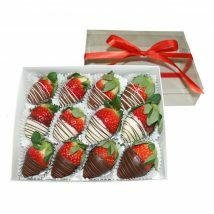 This cute chocolate strawberry treat is sure to impress. 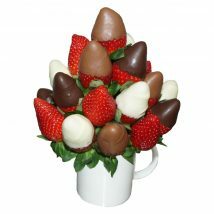 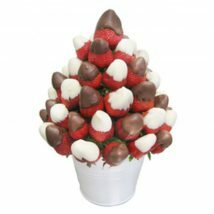 A delectable array of sweet strawberries and a mixture of white, milk and dark decorative chocolate dipped strawberries, arranged in a keepsake mug. 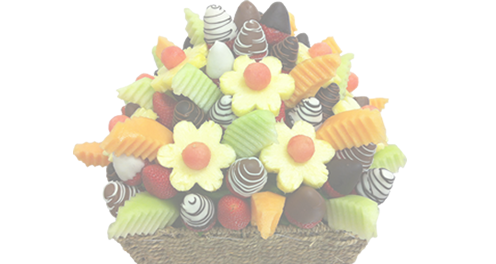 A great gift to say thank you or send best wishes.